Work is officially underway at Nickel 28 – a 261,000 sq.ft. 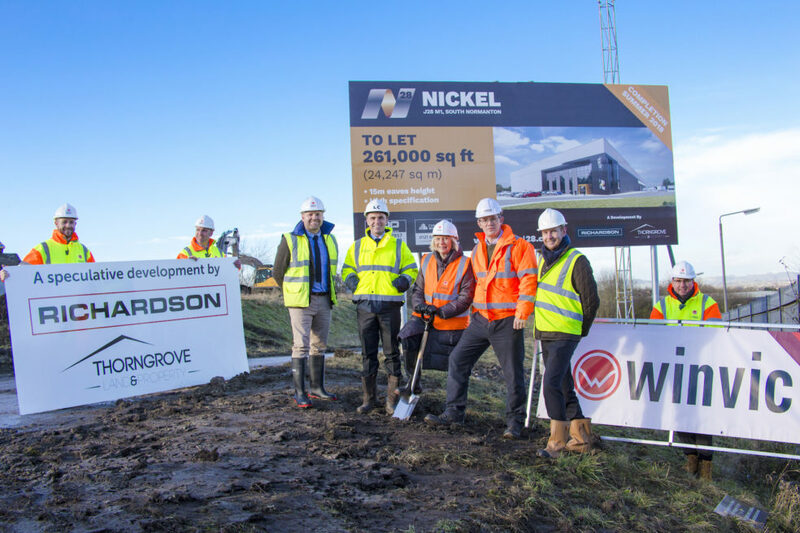 distribution warehouse on the South Normanton Industrial Estate in Derbyshire – as joint venture partners, Richardsons Capital LLP and Thorngrove Land & Property Limited have broken ground on site. Winvic Construction Limited, the appointed contractors, has finished clearing the site and is already ahead of the 40 week construction programme. The new high bay warehouse, which is situated on High View Road, less than less than one mile from junction 28 of the M1, will comprise a warehouse with associated office accommodation, a large 50m yard, generous lorry parking facilities, 24 dock loading doors, a secure gatehouse and double stacking entrance road. Commercial Property Partners and Cushman & Wakefield have been retained as the joint letting agents.